How Can the Remnants of a Tropical Storm Affect Inland Locations? When we think of tropical storms or hurricanes, we primarily think of the effects near the coast. After weakening, the remnants of a tropical system can affect areas further inland for several days. Shortly after a tropical storm or hurricane moves inland, it begins to weaken because it is no longer over the warm ocean water that primarily fuels the system. Although in a weakened state, the remnants of the storm can still pose a heavy rain and strong wind threat to inland areas. 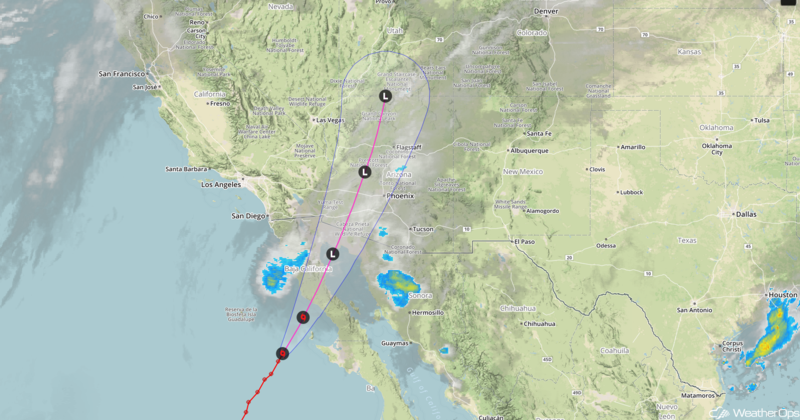 This week, flooding is ongoing across portions of Arizona as the remnants of Hurricane Rosa move northward, as seen in WeatherOps Commander. 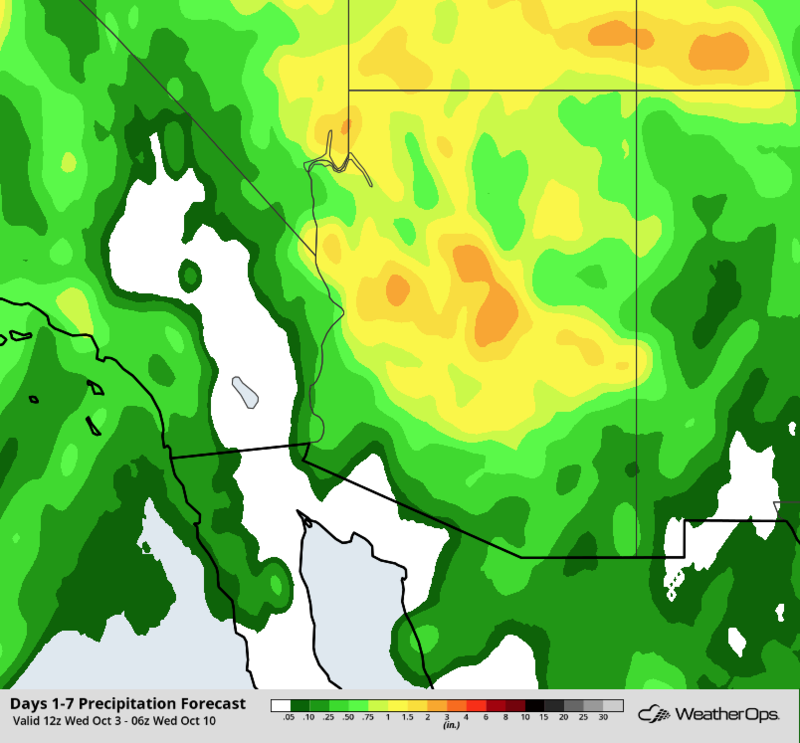 Rain associated with Rosa started early Monday morning, October 1, across southern Arizona, even though the center of the storm remained off the coast of Baja California. Outer rainbands of Rosa could be observed from the Yuma, Arizona radar. In anticipation of the excessive rainfall, Flash Flood Watches were issued across portions of Arizona and southern California. 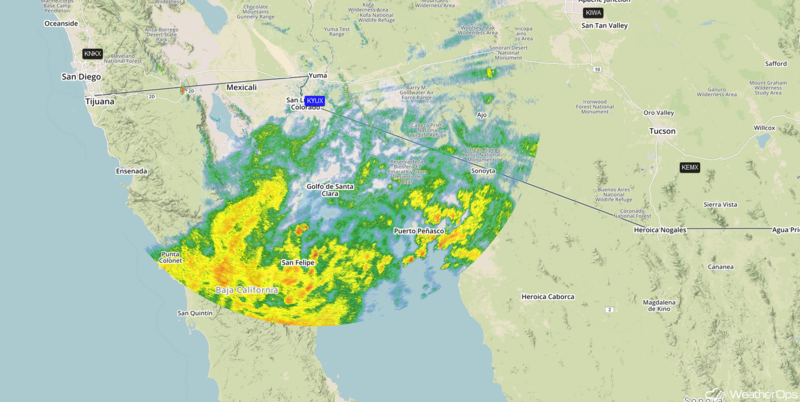 While Rosa officially dissipated Tuesday morning over the Gulf of California, heavy rain continued across Arizona into Wednesday. Rainfall amounts of over 3 inches fell across portions of southern Arizona between Monday morning and Wednesday morning, resulting in flooding. The flooding is responsible for some road and school closures around the Phoenix area. The rain isn't over and is expected to continue into early next week, as shown in the following WeatherOps rainfall forecast. Before this rainfall, Phoenix had a total of 3.40 inches of rain since January 1, 2018. Due to Rosa, some areas have now received as much, or in some cases, more rainfall than Phoenix received the first nine months of the year. Tropical Storm Rosa provides an example of how a tropical system can continue to cause impacts long after dissipation.